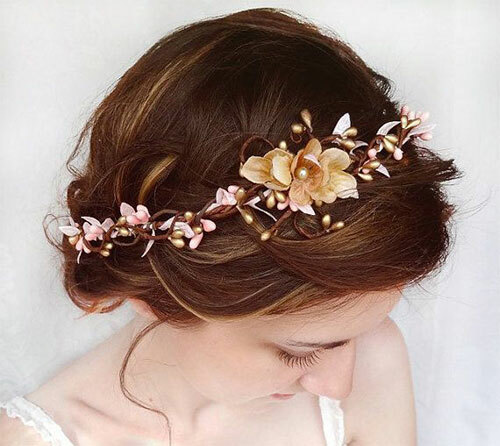 There are certain days and events in life that girls cannot get over, they remember it like anything, because it is special in their lives, such as birthdays and wedding days. 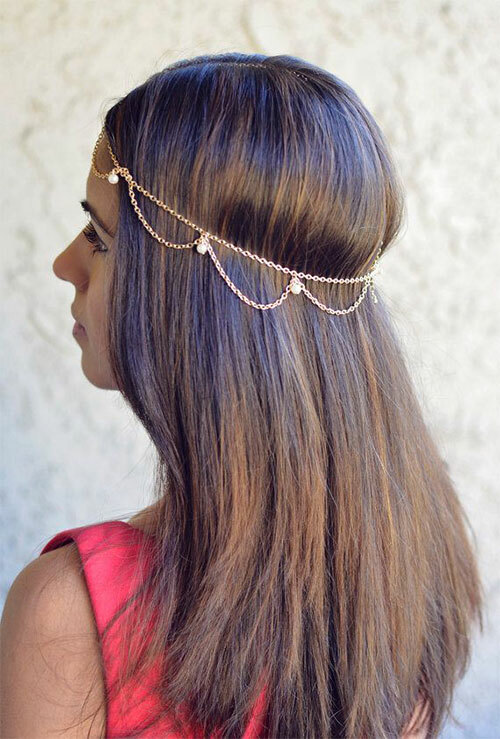 On such particular days, accessories, dresses and entire look matters. 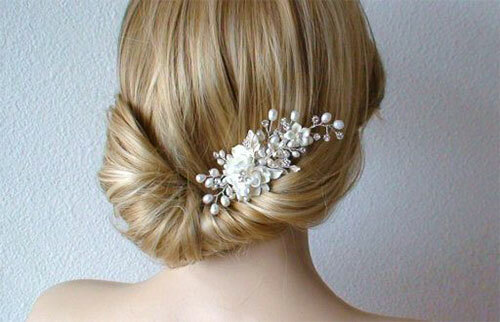 A bride seeks a good salon that could help her looking just perfect and beautiful on her big day. 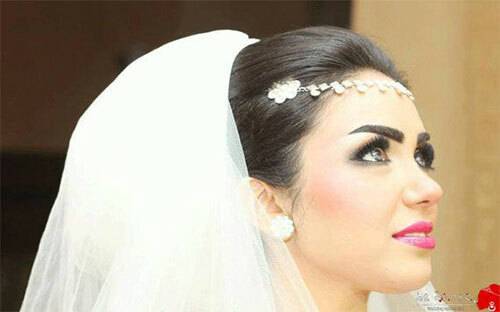 Abundance of friends and relatives are invited and all of them carry cameras to capture the best shots so even after the wedding days, the snapshots could be seen over and over. 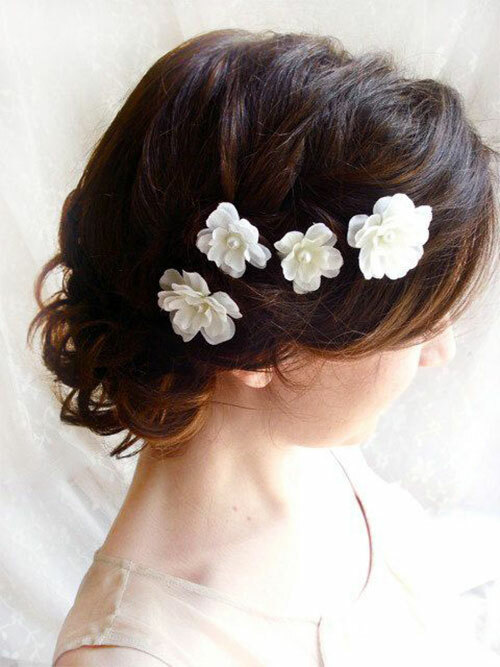 Wedding day is always cherished. 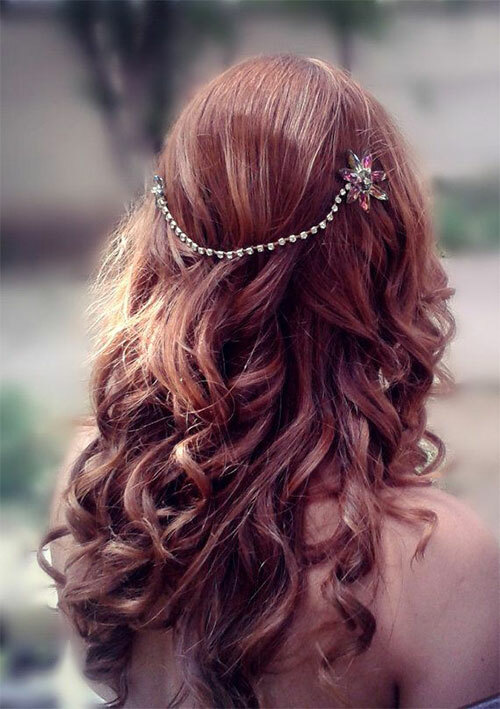 Its memories can never go on stop button. 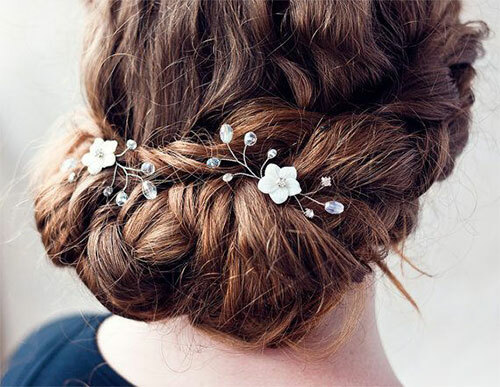 The parental side of the bride bears maximum of expenses just to see their daughter in the best of her looks, they don’t want their daughter to feel underestimated, understated and less pretty than a princess. 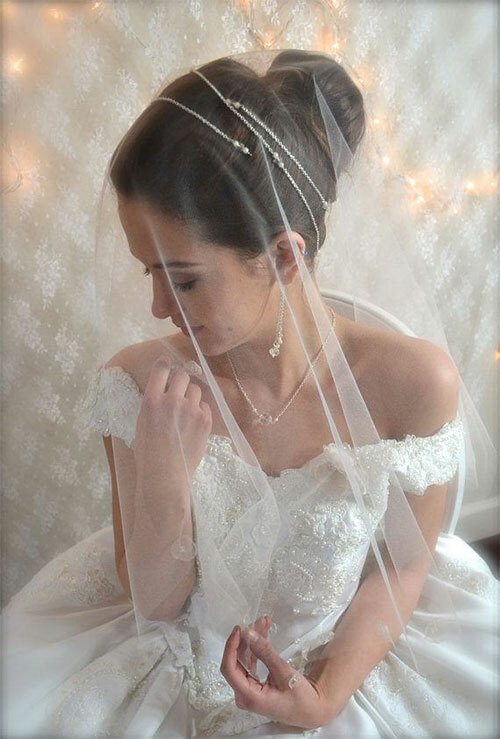 Wedding dresses cost much; it depends on the fabric and rhinestones/gems carved on the dress. 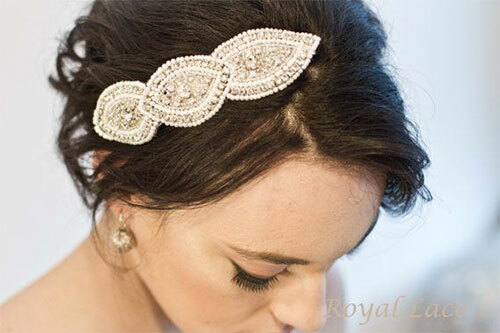 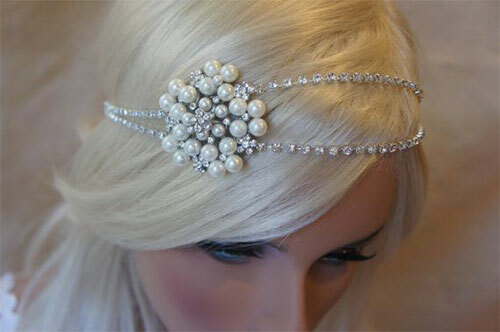 Some girls also like to wear tiara/crown to give a full princess look of themselves on wedding day. 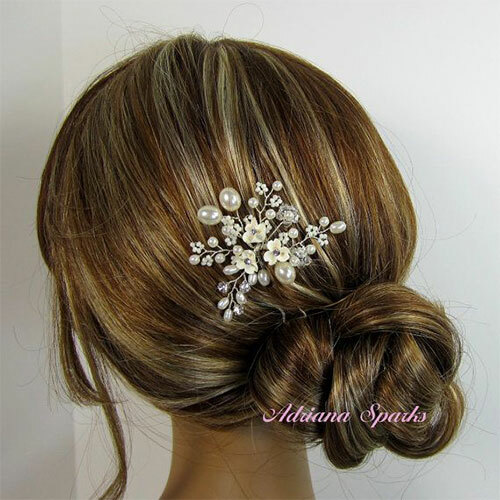 All in all, blessings and happiness are wished upon the bride and groom because they are going on a new venture together to be a part of each other in the times of joys, ecstasy, sorry and happiness. 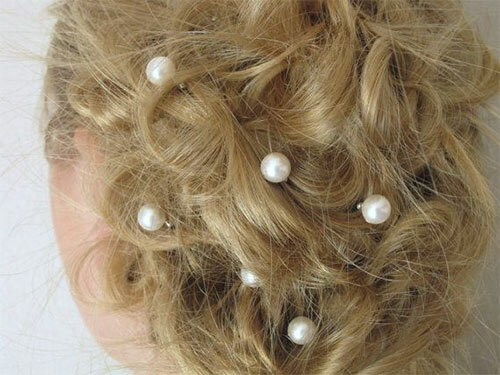 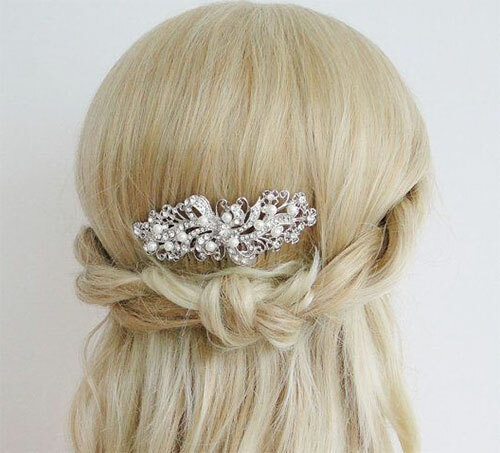 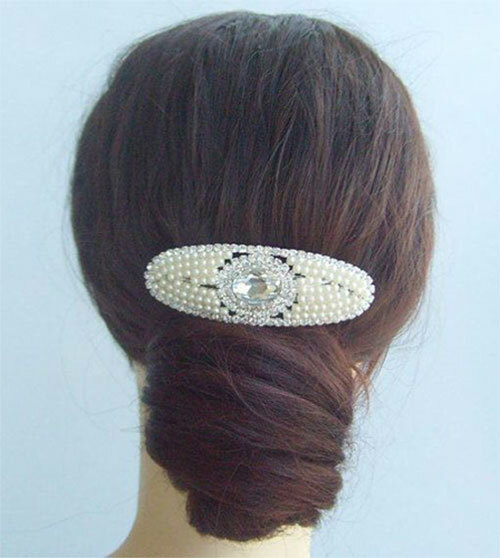 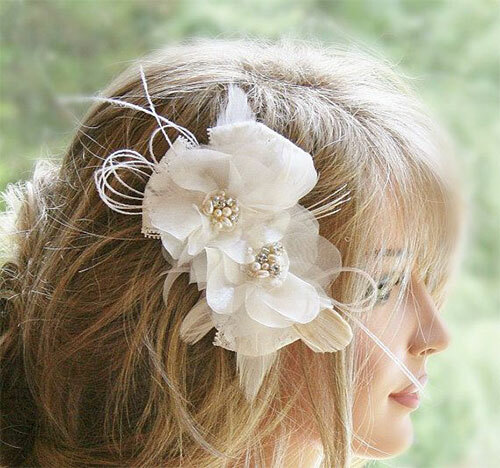 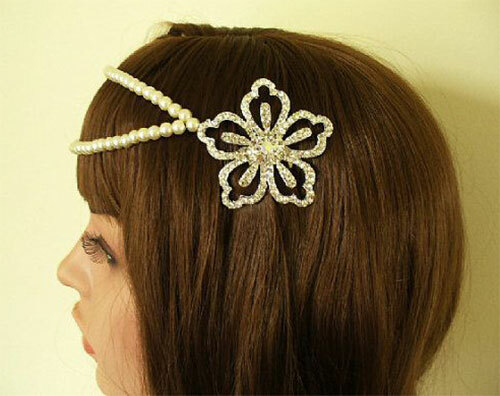 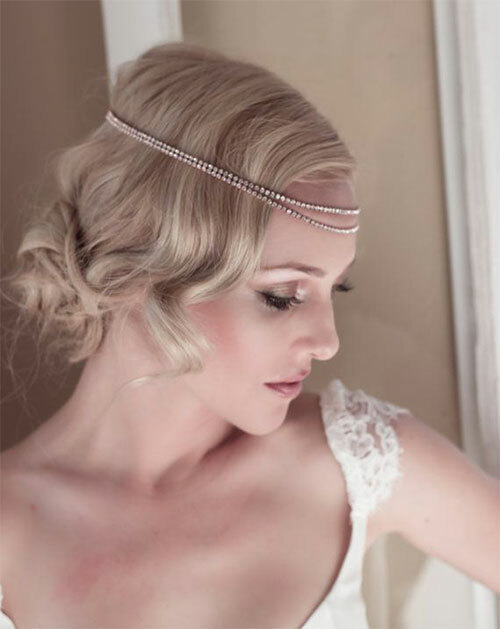 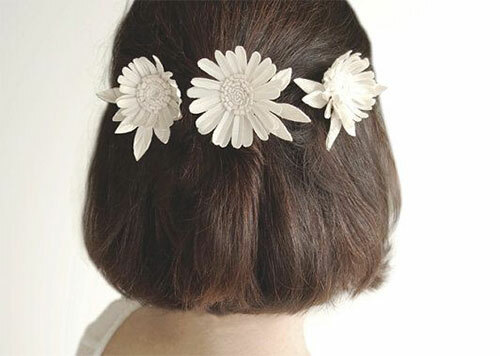 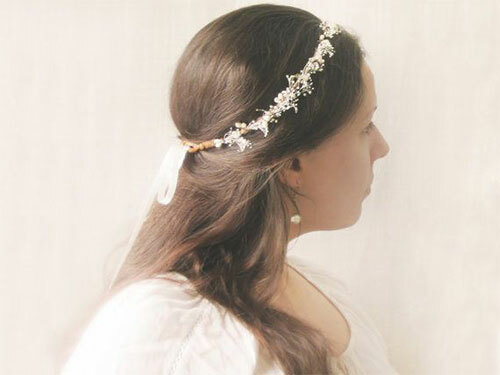 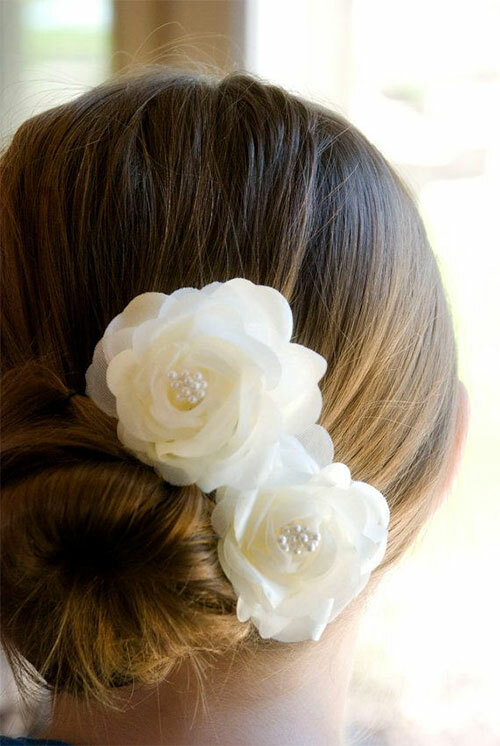 Today I am unfolding before you 40 + bridal flower & chain hair accessories of 2014 for wedding. 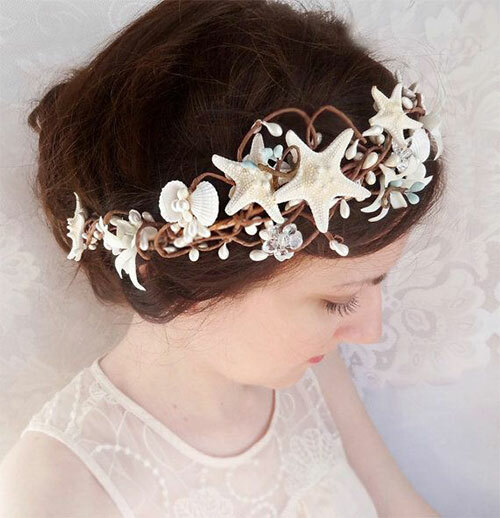 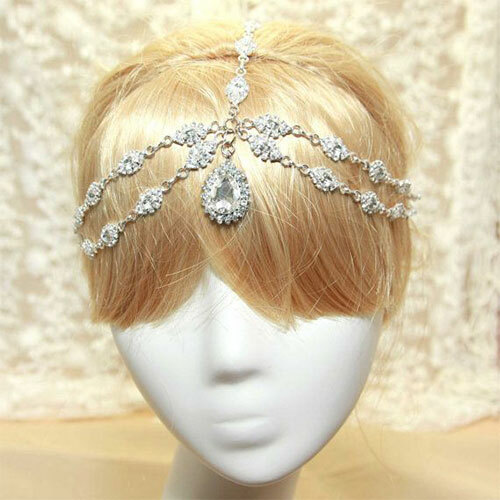 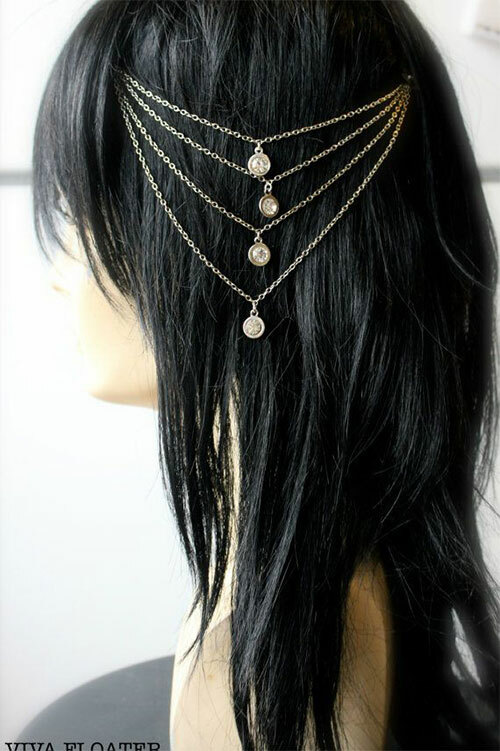 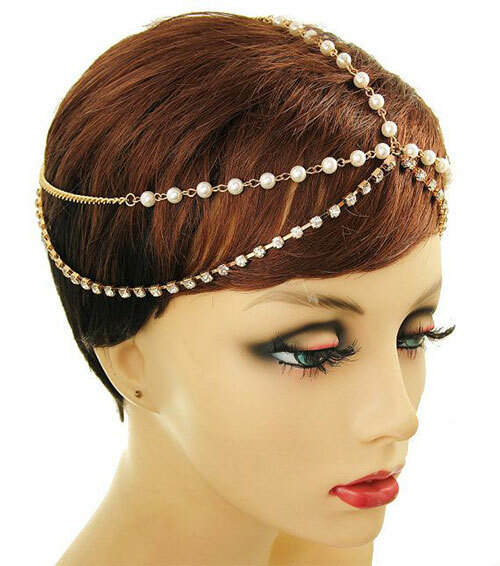 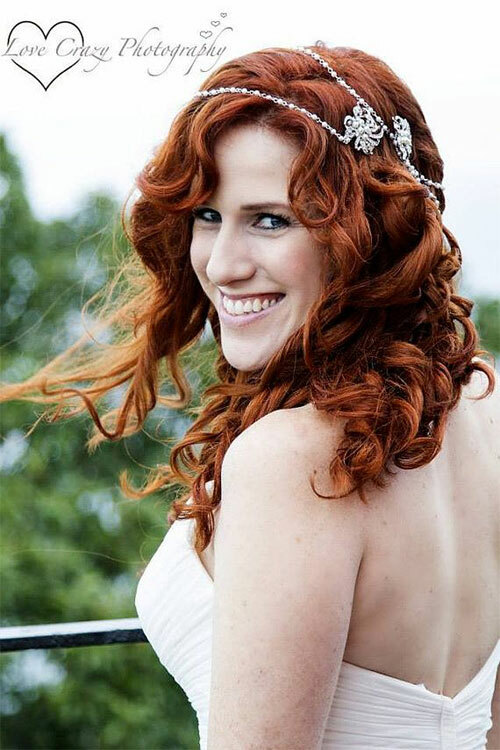 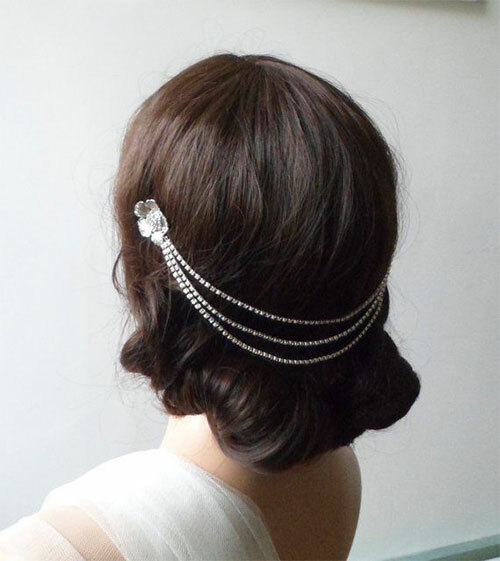 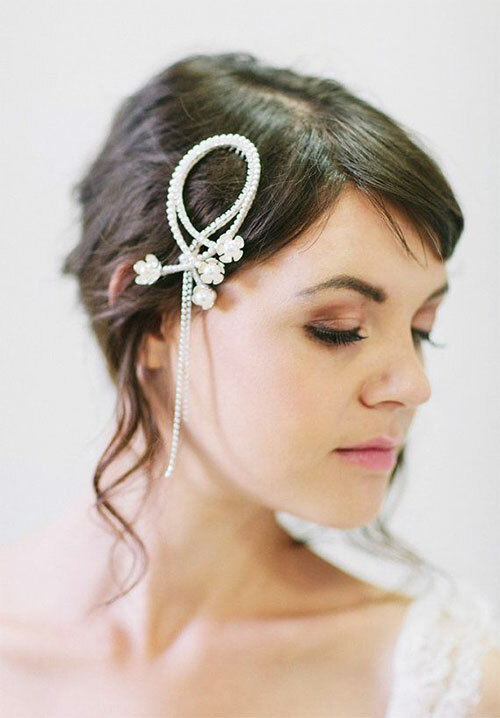 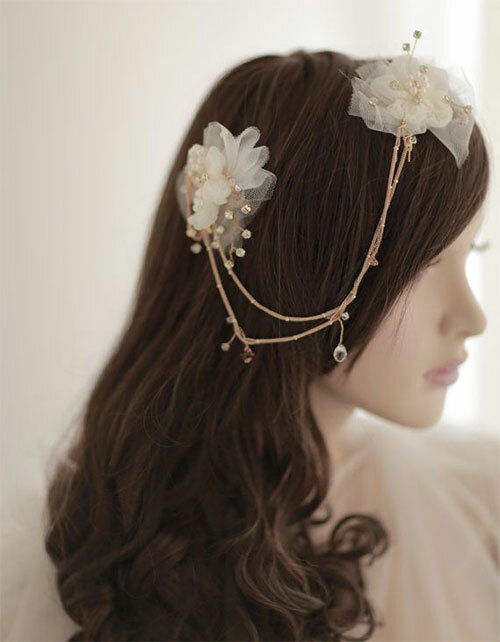 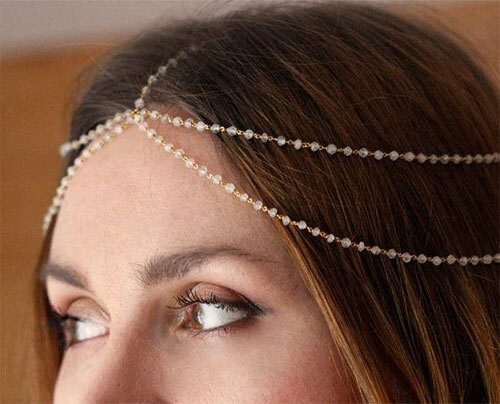 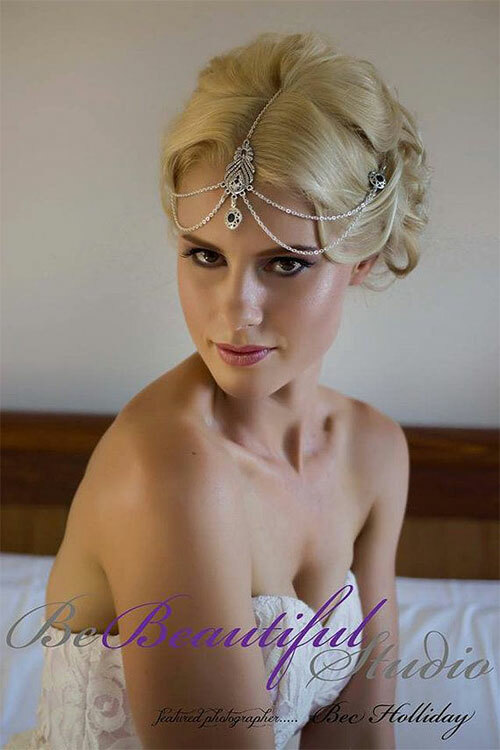 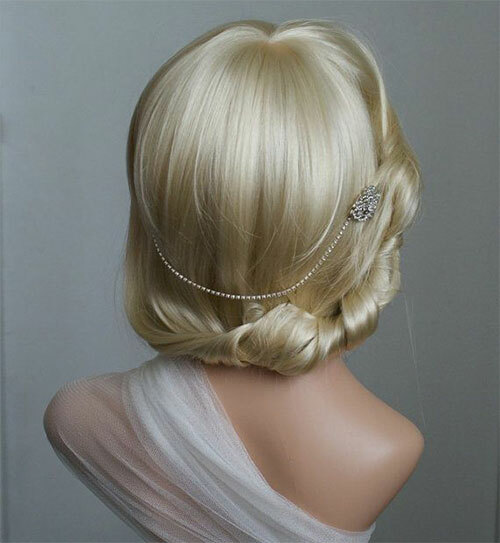 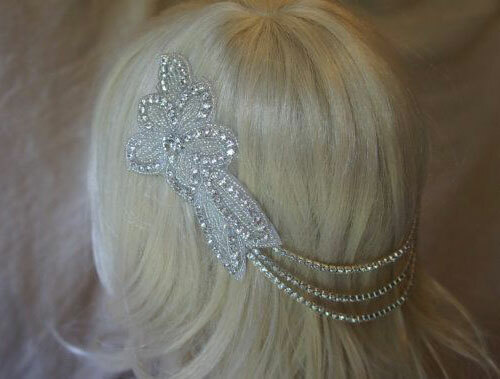 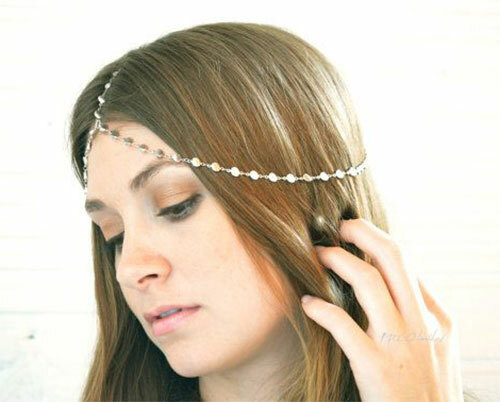 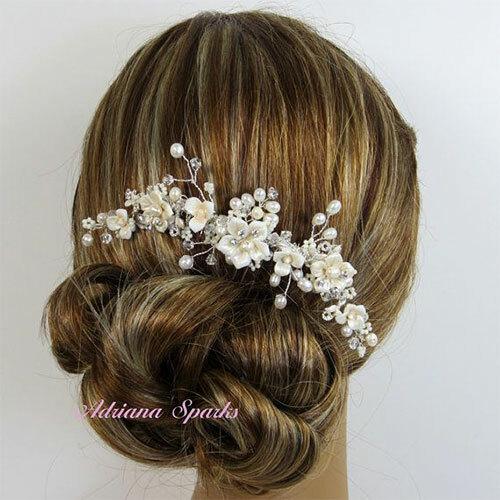 If your wedding day is approaching you can seek ideas from this accumulation that what sort of hair accessories/chains and bridal flowers may look good and trendy. 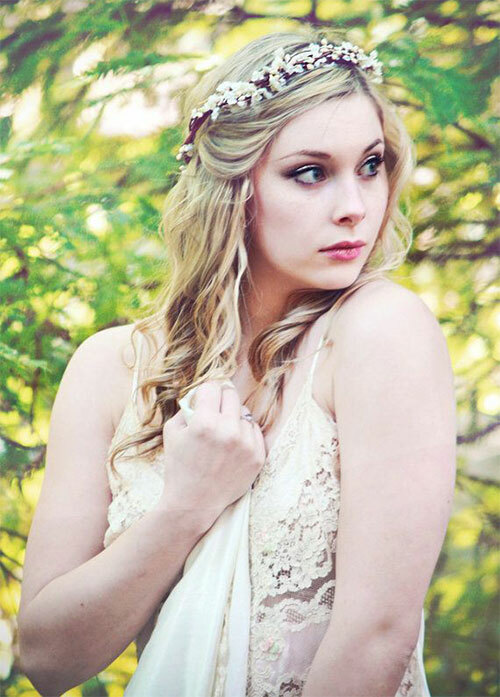 Go with the swing, take the ride down below. 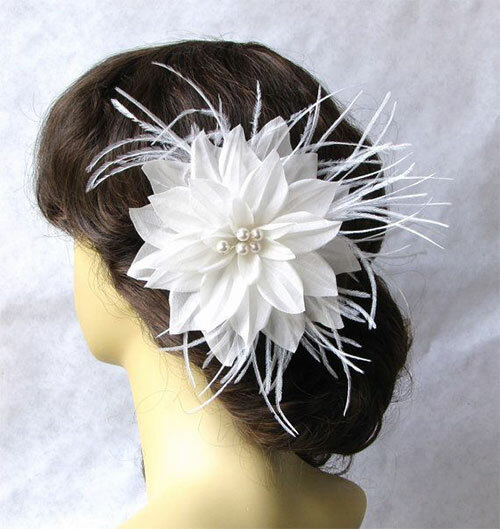 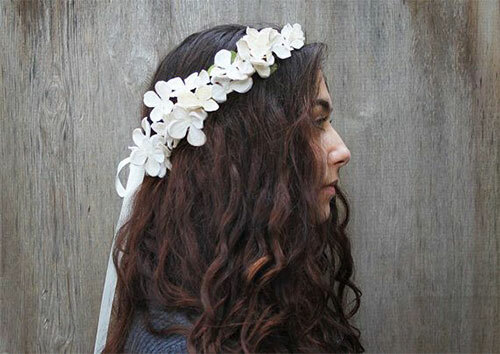 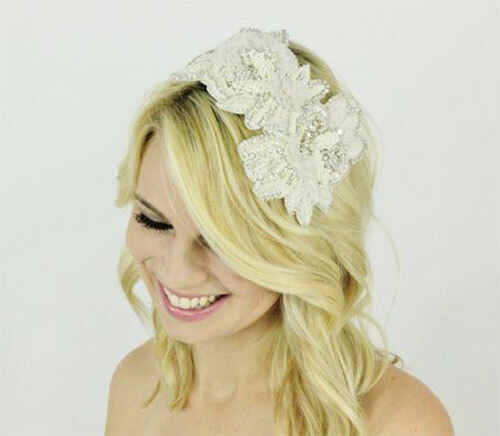 Thank you for including my Ivory Floral Wedding Head Piece in your picks.